Joe Squared is a family-owned, Baltimore-bred, award-winning restaurant and bar for people who love food, drink, music, art and community. 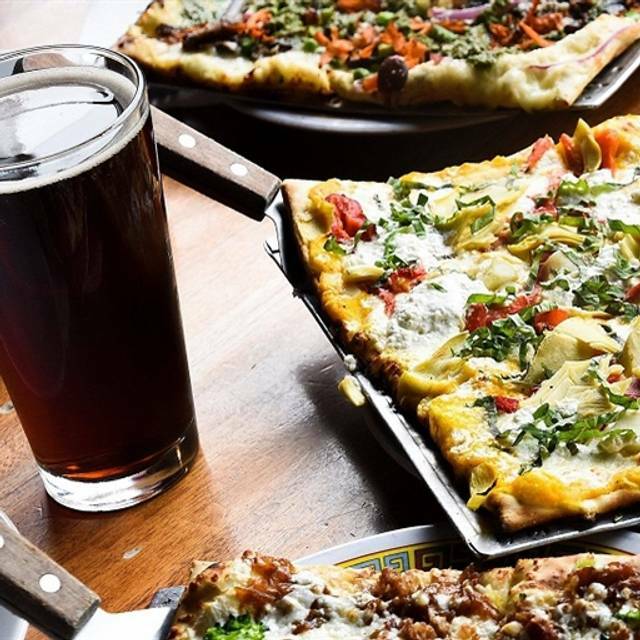 Our location in Baltimore's Station North Art and Entertainment district features signature dishes like coal-fired, thin-crust sourdough pizza and 25 varieties of risotto. I enjoyed the look and feel of the restaurant and the server was friendly and capable. The white pizza, however, was not crispy, as she said it would be. It was actually the opposite. It was tasty but so soft I had to use a fork and knife to eat it. I'm sure many people would enjoy that style, but it's not for me. Always love the pizza and great service. Never fails us and we are regulars. Service was the best I’ve ever experienced in Baltimore! The food as good!!! Never been dissapointed dining at Joe Squared. 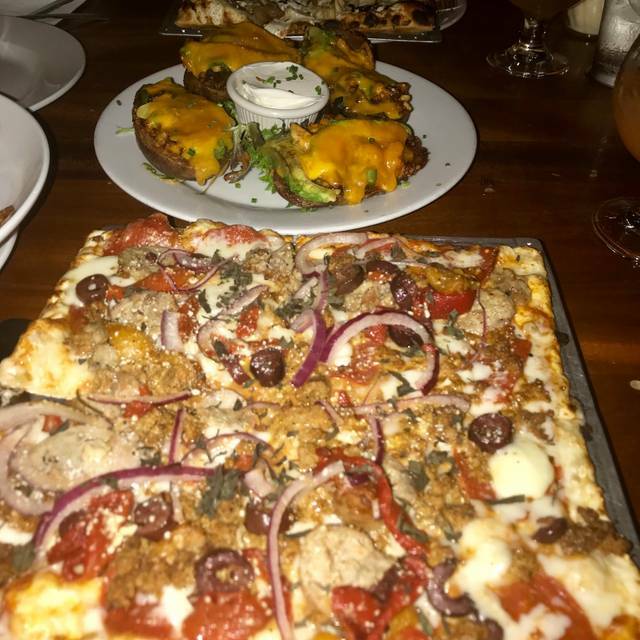 Great food, including amazing pizza. Good service. Prices dont break the wallet. We love including Joe Squarred in our plans whenever we go on a date downtown. Very Good. 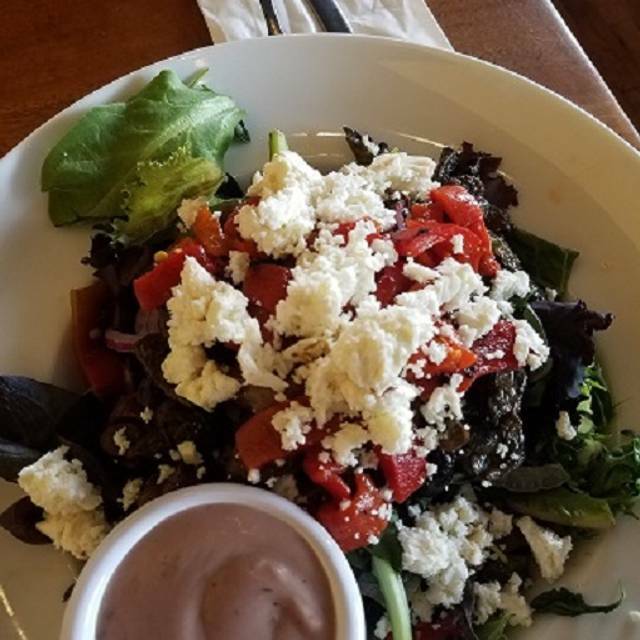 With a daughter who is vegan it is hard to find a restaurant that pleases everyone in our group and she doesn't just have to eat sale. They have lots of vegan and vegetarian options and are willing to adjust happily. The food for non vegans is good also and the atmosphere fun. Our server was excellent and gave us lots of good information that helped make choices easier since everything described sound yummy! Everything was perfect, we just wished the waitress would have asked us if we wanted more drinks. We got one happy hour drink each and then didn't see her for about 40 minutes. From a perfectly crafted martini to one of the best margarita pizzas I've ever had—with potato skins (my first time) in between—all was delightful, including the service. I wore a jacket (open table said, “business casual”), but tee-shirt and jeans would be fine. I definitely want to eat here again next time I am in Baltimore. Best pizza in Baltimore area......I drove in from Baltimore County. Listened to Shining Mirrors after dinner. Amazing evening! We had a wonderful experience at Joe Squared! From the warm welcoming by the hostess to our server Mike. He offered his expert opinion on how to make our first visit amazing. We went for the pizza after seeing an episode of Diners, Drive-Ins and Dives. The pizza did not disappoint. We had 4 different selections, and all were equally great! We are looking forward to our next visit. We ordered Chicken Avocado Pizza and Whiskey wings. When it came out none it of it was hot. The pizza was bearable the wings just cold. They did make us a piping hot order to replace those. Overall, it's not a place I can say, I'd go back to. What a great find!! Best food and service and very reasonable !!! Wish it were closer to NY!! Joe Squared pizza is outstanding! Light and absolutely delicious. The unique baking style is like none other. The new location is very nice but we miss the outdoor patio. We just left another function across the street at the Motor House and wanted something for lunch having not eaten breakfast. I saw the sign and thought it was worth the try. We love the food very much. The server was very pleasant and friendly. The wait wasn't that long (reasonable). Our portions were enough for two people or two servings. It was an enjoyable lunch date. Another visit is definitely a must. Love the pizza and risotto with great selection of both. They have many creative choices for both and the service is excellent! Pizza was great! Fried calamari was slightly rubbery. Wings got mixed reviews among the 6 folks...half liked them and half thought they were a little too salty. Service was prompt and efficient. Bathrooms clean. Music fun, but not intrusive. Been many times before with large & small groups. Def coming back. 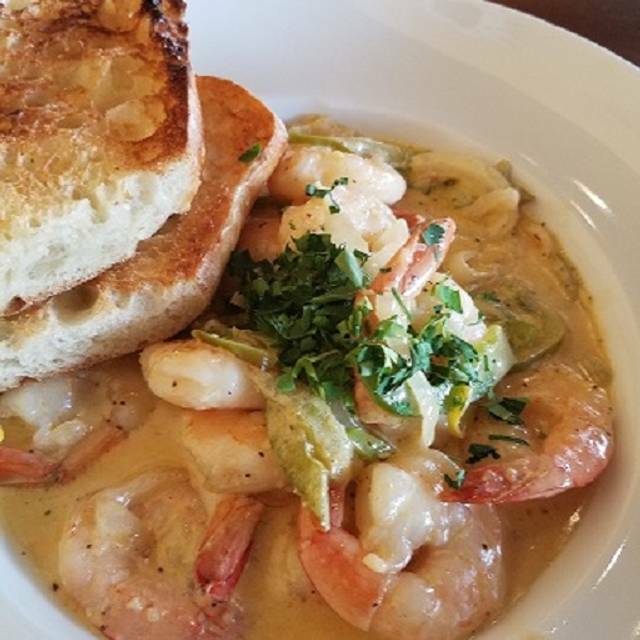 Joe Squared came up on a search for places to eat with live music and we're glad we gave them a try. We started with their traditional chicken wings...best ever IMHO...crisp skin, tender meat, perfect seasoning. We'll go back for the wings alone! 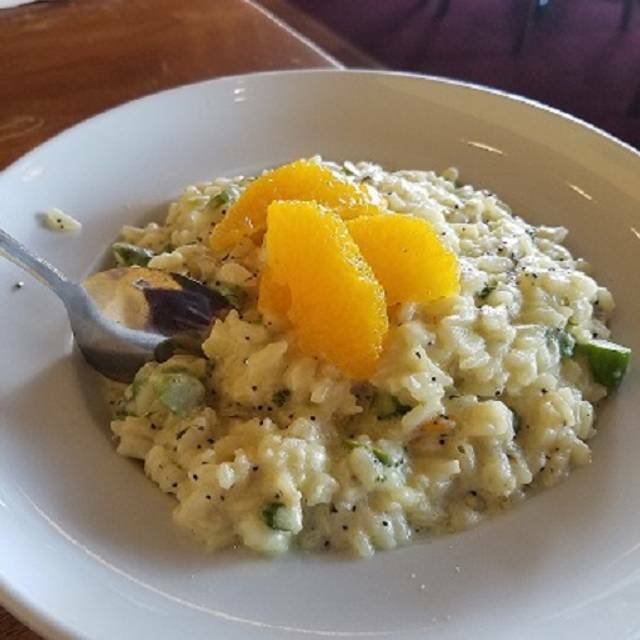 I was torn between risotto or pizza until our server let me know that the risotto's would soon be taken off the menu. Could I drive into Baltimore to give Joe Squared a try and not eat the pizza? No, so we ordered both. The spinach risotto was absolutely delicious and creamy like it should be. The risotto clock's ticking at Joe Squared so if you enjoy it, get in there now! The pizza was also on point. Thin crust, covered in plenty of toppings and quality ingredients too. With all we ordered and couldn't eat while there it was great to enjoy a repeat of risotto and pizza the next day. Joe Squared you did us right and we'll see you again. Oh, the music was slated for 9 pm and we ditched before it got started but it's downstairs and the cover charge is $7. Have cash on hand for that. We drove from Pennsylvania just to try Joe Squared, and it was awesome. The staff was super friendly and the food was great! It was great food and delightful service! Service was a little slow to start, and they were out of several things at the bar before 6pm on a Saturday...but the kitchen picked up the slack where the service/bar staff was lacking! Salads came out fresh, bountiful and exact on a few special requests. Risottos were on point, flavorful and prepared perfectly! Pizzas were all served hot, had fresh ingredients and were exactly as advertised. We will go back next time we are in the neighborhood to see if the wait staff has improved and if the bar manager has proper stock. Great place every time !!!!!! Joe Squared might have the best pizza in Baltimore. Pair that with their excellent beer selection- it's a must stop every time I'm in the area. Great vibe! 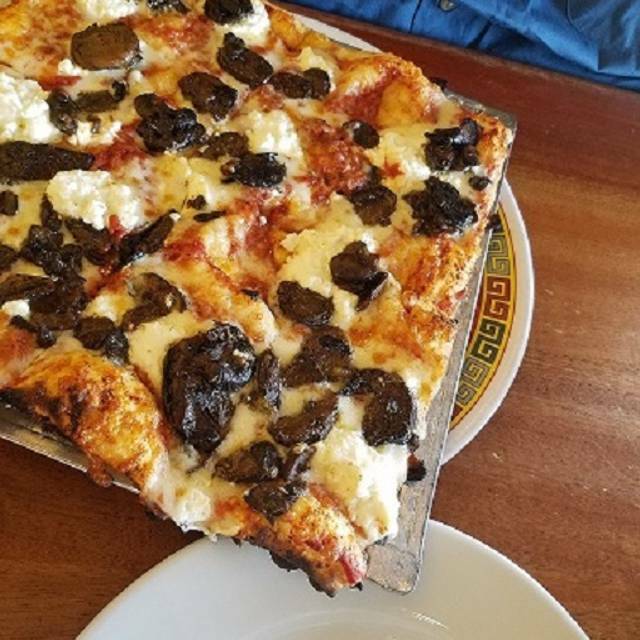 Terrific chicken soup and Lombardi Pizza, both recommended by our excellent server. Wonderful experience, will be back soon!! Loved Both choices of potato skins. Waiter was happy to address all questions. choices on each half of pizzas. Outstanding chocolate pecan pie and caramel salted ice cream. All 6 of us agreed that we would definately look forward to a return visit! A really excellent place. The staff and especially our server were outstanding. Our server took the time to explain items on the menu and make recommendations if we asked. The iced tea was fabulous - no sweetening required. We were greeted on our arrival, and bid farewell when we left. Great place. And - the food was great, too. It is always a treat to go to Joe Squared after a movie at The Charles. They always have an interesting selection of draft beers and the risotto ranks among the best I have ever had. Been here several times. As always, the food was excellent. Shared a bunch of pizzas and some other appetizers. Service was great. Drinks were good. Loved that we could make a reservation for a large party. The only downside to coming here is the lack of parking. We were a big party and had several cars and it was a problem. Next time we will Uber. Joe is the greatest: the pizzas are fabulous, inventive, perfect! The staff are so cheerful and attentive. How can you not go back! It's been some time since my last visit to Joe Squared- this is only my second visit in the their new space on North Ave. Not sure why I waited so long to return as the food and service on our visit was fantastic! Pizza is still great and love that you can order your own or a size large enough to share with the table. The atmosphere was happy and fun and full of smart college age folks with every age in between mixed in comfortably. All are definitely welcome here. Will be back and won't wait so long next time! Great menu. Thin crust, not to much cheese, rissoto selection amazing, roasted Vegs amazing, and happy hour $5 wines make for a great evening. Not just the pizza. We enjoyed tasty sandwiches, risotto and salad. We ordered a cheeseburger and it came without cheese ,as a result we got 10% Off our meal. Best pizza i have ever had in my life!!!! Fried mozzarella is out of this world. First time and it was great as expected. Mushroom risotto was awesome. Pizza was nothing short of amazing. Great service. Unique atmosphere. Easy to find. Parking was great. Overall fantastic find! Pizza and risotto and salads are always great here. They could use a better wine list however. But we love going here.